Is Huntington Ingalls Industries Inc (NYSE:HII) a good bet right now? We like to analyze hedge fund sentiment before doing days of in-depth research. We do so because hedge funds and other elite investors have numerous Ivy League graduates, expert network advisers, and supply chain tipsters working or consulting for them. There is not a shortage of news stories covering failed hedge fund investments and it is a fact that hedge funds’ picks don’t beat the market 100% of the time, but their consensus picks have historically done very well and have outperformed the market after adjusting for risk. Huntington Ingalls Industries Inc (NYSE:HII) has experienced an increase in enthusiasm from smart money of late. 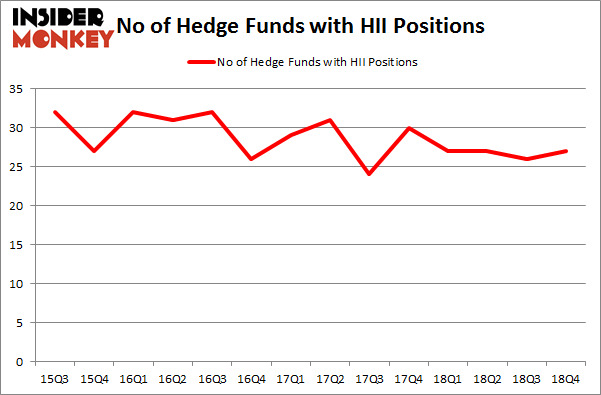 Our calculations also showed that HII isn’t among the 30 most popular stocks among hedge funds. Let’s take a look at the new hedge fund action regarding Huntington Ingalls Industries Inc (NYSE:HII). At Q4’s end, a total of 27 of the hedge funds tracked by Insider Monkey held long positions in this stock, a change of 4% from the second quarter of 2018. By comparison, 27 hedge funds held shares or bullish call options in HII a year ago. So, let’s see which hedge funds were among the top holders of the stock and which hedge funds were making big moves. 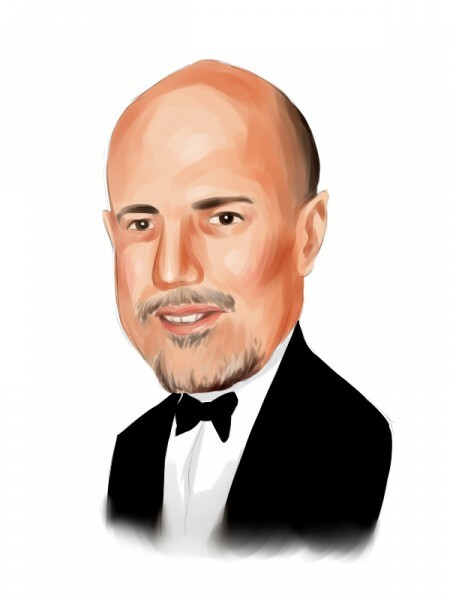 According to Insider Monkey’s hedge fund database, AQR Capital Management, managed by Cliff Asness, holds the largest position in Huntington Ingalls Industries Inc (NYSE:HII). AQR Capital Management has a $362.4 million position in the stock, comprising 0.4% of its 13F portfolio. The second largest stake is held by East Side Capital (RR Partners), led by Steven Richman, holding a $51.8 million position; the fund has 6.6% of its 13F portfolio invested in the stock. Remaining professional money managers with similar optimism comprise Phill Gross and Robert Atchinson’s Adage Capital Management, Rob Citrone’s Discovery Capital Management and John Overdeck and David Siegel’s Two Sigma Advisors. With a general bullishness amongst the heavyweights, specific money managers have jumped into Huntington Ingalls Industries Inc (NYSE:HII) headfirst. Discovery Capital Management, managed by Rob Citrone, initiated the most valuable position in Huntington Ingalls Industries Inc (NYSE:HII). Discovery Capital Management had $19.1 million invested in the company at the end of the quarter. Joel Greenblatt’s Gotham Asset Management also initiated a $13.6 million position during the quarter. The other funds with new positions in the stock are Steve Cohen’s Point72 Asset Management, Ken Griffin’s Citadel Investment Group, and Robert Rodriguez and Steven Romick’s First Pacific Advisors LLC. Let’s go over hedge fund activity in other stocks similar to Huntington Ingalls Industries Inc (NYSE:HII). We will take a look at Arconic Inc. (NYSE:ARNC), Wayfair Inc W(NYSE:W), LINE Corporation (NYSE:LN), and Snap-on Incorporated (NYSE:SNA). This group of stocks’ market caps resemble HII’s market cap. As you can see these stocks had an average of 25.75 hedge funds with bullish positions and the average amount invested in these stocks was $1111 million. That figure was $580 million in HII’s case. Arconic Inc. (NYSE:ARNC) is the most popular stock in this table. On the other hand LINE Corporation (NYSE:LN) is the least popular one with only 4 bullish hedge fund positions. Huntington Ingalls Industries Inc (NYSE:HII) is not the most popular stock in this group but hedge fund interest is still above average. This is a slightly positive signal but we’d rather spend our time researching stocks that hedge funds are piling on. Our calculations showed that top 15 most popular stocks among hedge funds returned 21.3% through April 8th and outperformed the S&P 500 ETF (SPY) by more than 5 percentage points. Unfortunately HII wasn’t in this group. Hedge funds that bet on HII were disappointed as the stock returned 13% and underperformed the market. If you are interested in investing in large cap stocks, you should check out the top 15 hedge fund stocks as 12 of these outperformed the market.